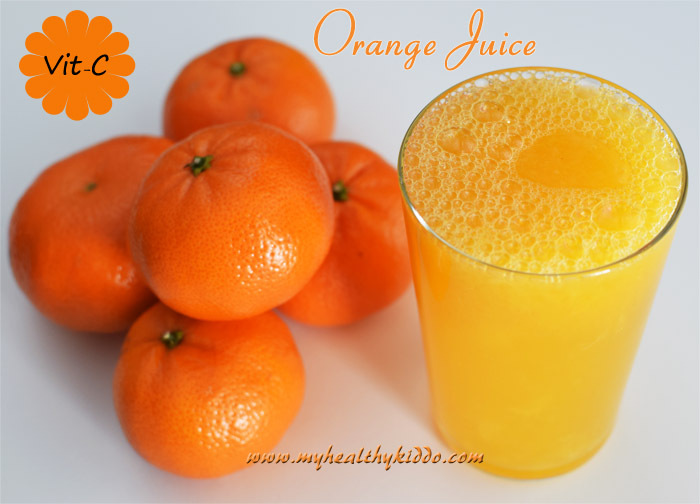 Homemade pulpy Orange juice is indeed a Vitamin C tonic, but much Fresh and Natural ! We have seen ppl avoiding orange during cold. 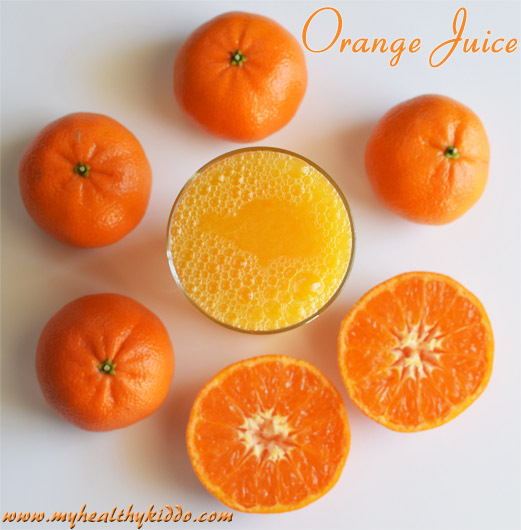 But, orange is actually good for cold, cough, constipation and diarrhea !! 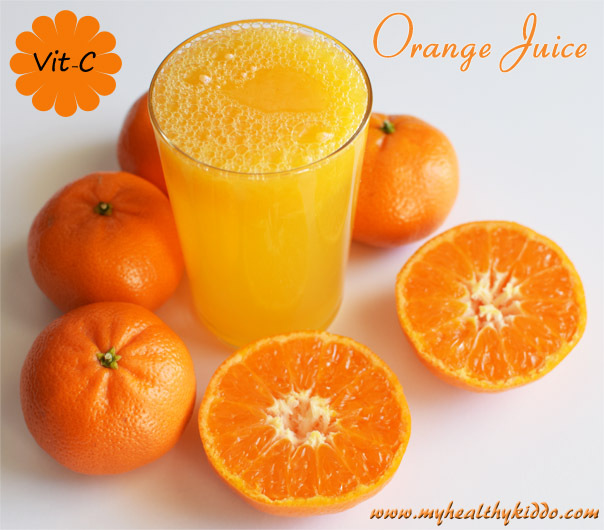 Vitamin C rich in orange strengthens our immune system. It gears up our defense to fight against illness causing viruses and bacteria. That’s why we buy bags of oranges to meet sick persons. Oranges will make them “Get well soon” !! Vitamin C plays an important role in the absorption of iron by our body. Whenever I give non-veg, I make sure I give tomato rasam or orange juice/ guava/ strawberries to my kid for proper iron-absorption. Avoid sugar-dumped store-bought orange juices. Homemade pulpy orange juice is good for kids. Pulp is included to retain the fiber in it. Adults can have this when tired or sick. In normal days, try to eat fruits rather than drinking juices as juice shoots up your sugar level at once. Especially, in pregnancy when we need to eat variety of fruits, avoid juices and shakes to stay away from Gestational Diabetes. If your baby has any food allergy, it is always advisable to wait till 1 year to start with citrus fruits like orange and lemon. Else, you shall introduce orange around 8-10 months of age. This particular pulpy orange juice is a mix of pulp and liquid and it might be difficult for babies to consume this, so I have recommended for 2+ years kids. Otherwise, you shall give just bite sized orange pulp(with outer white layer removed) or orange carrot juice(pulsed well in mixie) to babies from 8th month onward. Many people skip washing oranges with the intent that we are just going to eat the inner part. But if you don’t wash the outer skin, you might be transmitting the germs from outside to inside. 1 big orange gave me 1/2 cup juice. I added 1/2 cup water to it. Always dilute orange juice with water. I always powder palm candy in mixie and store it in refrigerator. I used 1 tsp Panangalkandu powder. As my orange was sweet, this was sufficient for me. You can increase if needed more. If you want to make orange juice for cold, then do not skip palm candy as panangalkandu too have cold-curing properties.